Sleek design and easy-grip silicone handles bring style and convenience to Cuisinart's quality nonstick bakeware. Contoured for standard oven mitts, two side grips on each piece of bakeware make removing delicious sweets and homemade breads from the oven safe and easy. Professional-branded premium nonstick interior and exterior ensure easy food release and effortless cleanup. The full line is constructed of heavy-gauge steel to provide even heat distribution and consistent baking results. 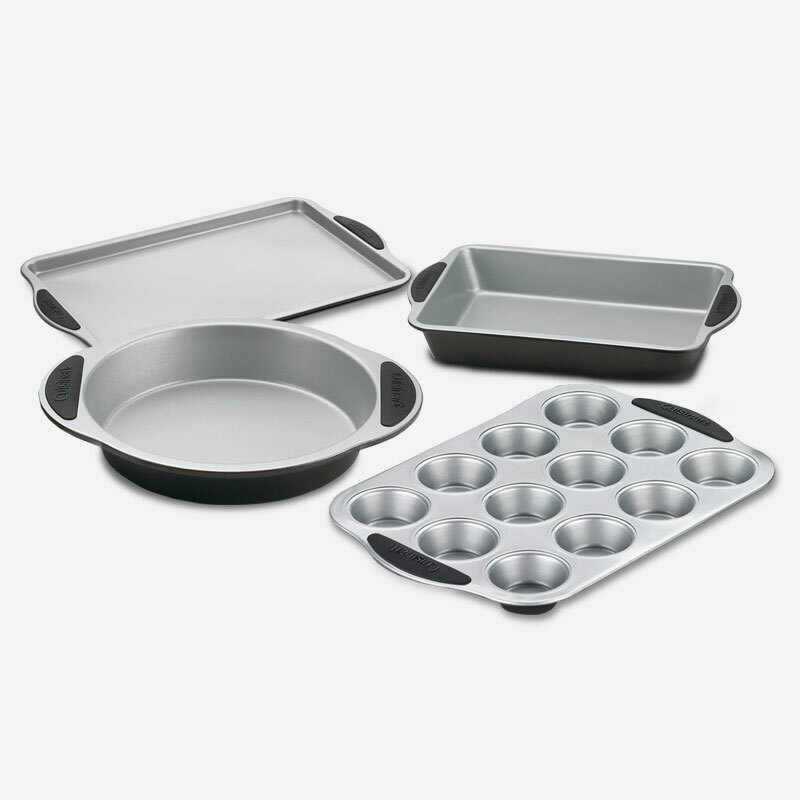 Bake with confidence, with Cuisinart Easy Grip Non-Stick Bakeware. 4.50" x 16.75" x 12.25"
17.50" x 9.50" x 13.75"